This training guide will get you improving your marathon time in 18 weeks. 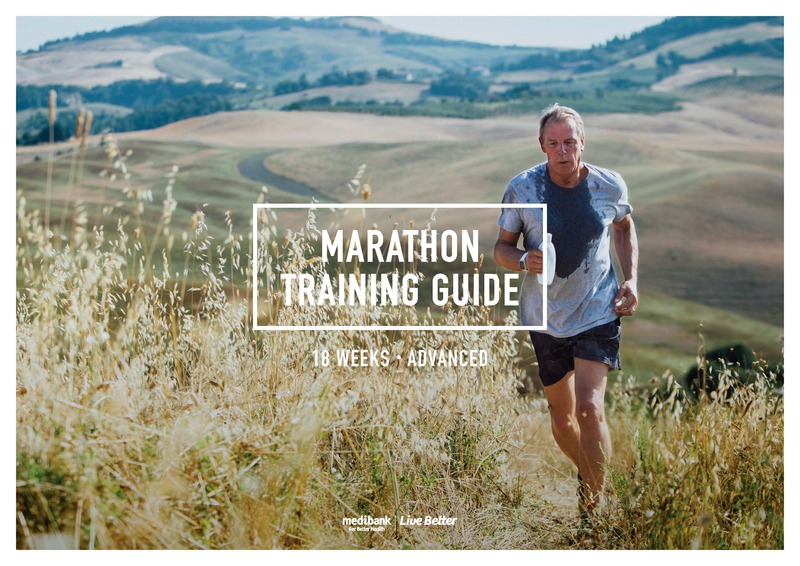 If you’ve got a couple of marathons under your belt and now you want to push yourself further, this is the training program for you. Over 18 weeks, you’ll build your strength, speed and endurance to hit a new personal best. This training guide is just that, a guide, so feel free to be a little flexible with it and make it work for you. Mix up days and runs when you need to, and if you miss a session you can make it up. The real aim is to be consistent with your training, and the overall details won’t matter as much. Long runs: The key to the guide is the long run on weekends, which ranges from 16 km to 32 km. Consistency and quality is the goal of these long runs – run at a comfortable pace, find your rhythm and enjoy building your endurance. Every third week the long runs are shorter to allow you to build for the next increase in distance. Run consistently: Do your long runs at a comfortable pace – do not run at your goal marathon pace as this will cause too much regular stress on your body leading to fatigue and possible injury. Run home: On the long runs, use your experience as a runner to determine how you are feeling. If you feel fresh and have a good amount of energy, having run at a comfortable pace, you can slightly increase your pace and rhythm to cover the last of the distance. Keep in mind that consistency is more important than speed on your long runs. Midweek training: Sessions during the week should be done at a solid, consistent pace – below race pace. Hill runs: Hill runs are mixed in with tempo and interval runs for variety, key to endurance training. Hills will strengthen your quadriceps muscles and there is less impact running up a hill than running fast on the flat. Find a hill roughly about 400 m long, run up the hill solidly, with a sustained and consistent effort, then jog (or walk) back down and repeat. Interval training: Best completed on an athletics track, but can be done anywhere, interval training in this guide is designed around longer, sustained, speed efforts of 800 m. Run the 800 m at faster-than marathon pace, rest by jogging and/or walking 400 m, then start again. Tempo runs: A tempo run is a continuous run with a buildup in the middle. The peak speed will last for about 3-6 minutes in the middle of the run. A 30-40 minute tempo run would start with 10-15 miutess easy running, build to peak speed during the next 10-20 minutes and finish with 5-10 minutes easy running. The pace buildup should be gradual, not sudden, with peak speed coming about two-thirds into the workout and only for those few minutes mentioned above. You should feel fresh after a tempo run, not fatigued. Pace: Most of the Saturday runs are done at race pace. This is defined as the pace you need to run to achieve your personal best. If you are aiming to beat a 3:30 marathon time then your pace would be 4:58 / km. Therefore when you run your pace runs you need to run them at this speed. Half marathon: The guide recommends completing a half marathon to put you in a position to race and test yourself. Rest: Days designated to rest are very important. Muscles regenerate and get stronger during rest and rest helps prevent injury. The key to this guide is consistency – so if you are feeling particularly tired at any stage, take an extra rest day and get your energy back to keep going.